When it’s hotter than 100 degrees, all I want to eat is something cool and refreshing. I bought an entire pineapple the other day, but before cutting it up to snack on, Rob suggested that we use it for drinks instead. I didn’t disagree. 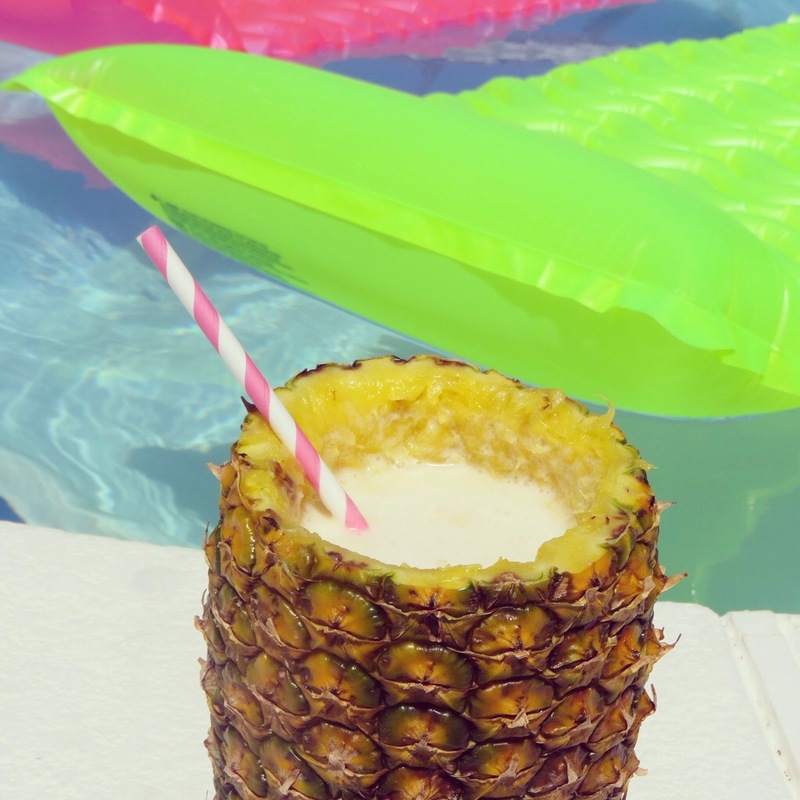 To cool down by the pool this weekend we made our own piña coladas – complete with a pineapple cup (I used this tutorial to hollow out the pineapple). Just one sip made me feel like I was back on the beach in Cabo! Fill blender halfway with ice cubes. Add rum, coconut cream, coconut milk and pineapple chunks. Puree until smooth. Serve in a pineapple cup. or glass garnished with a slice of pineapple and maraschino cherry, if desired. Cheers!